Transparent jewelry, accessories and heels seen at la Maison MM, Simone Rocha and pretty much every where else. Perspex is such an easy material to work with, it bends with heat and hardens in regular temperatures. If you own an oven, you can make these! You can be sure that I'll be experimenting more with this material(sensing a neck cuff? ), but for now I'm estatic about today's project and can not wait to wear my cuffs over a thin knit or silk longsleeve, they literally go with everything. 11cm(length) by 14cm(round). A small leftover piece was used for the hair cuff. With the saw cut a square out of the persplex plate. Heat your oven to 200°C and place your square of perspex inside on a flat oven tray. In less than 5 minutes the perspex should be soft and bendable. If you leave it in the oven for too long, tiny bubbles will start to form inside the plastic. This can also happen if the heat in your oven isnt distributed evenly(like in mine). Take out your square with oven mittens and immediately start to bend it into shape while wearing oven mitts. Don´t worry, the plastic is very bendable but isn´t sticky. The persplex will harden within 30 seconds so be quick! If the edges of your cuffs are too sharp you can smooth them with a file. Genious! god, god, god I am SO going to make these. Especially for the hair. Genious. Genious! They are sooooo nice!! What a good idea, you look fab! ivania. you NEVER CEASE TO AMAZE ME. wowww i'm so obsessed! if you've heard of shrinky dinks, you've basically done a haute version of them, i love it! Interesting material. I think I will try this. I've been fascinated with transparency in garments, shoes, jewelry etcetera that I have been actually making my own transparent jewelry. Lately I've been fond of this bangle I've put together with some recycled plastic. thats absolutely unique! I would never get such an idea... it seems kind of unreal to me to create something like this... wonderful. Looks absolutely awesome, good job. 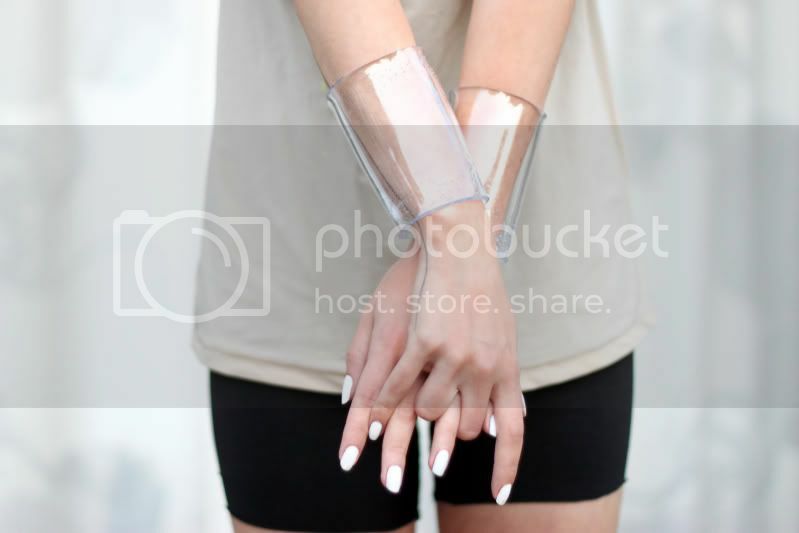 Those transparent perspex cuffs beat out all the other accessories trending out there. Genius! Really cool! I'd be way too nervous to handle hot perspex, though. What a fantastic idea, it looks soooo good! These look perfect! I kind of like the bubbles! But is persplex acrylic? Doesn't it give off fumes? I love the way you use it as a tail! 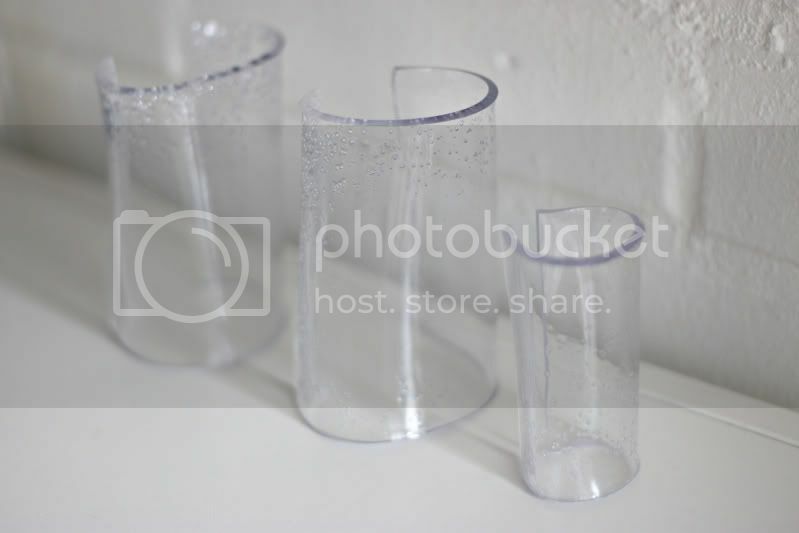 how did you bend the perspex, with your own bare hands? this is amazing! ive been wanting to make something out of perspex these days! and this idea really inspires me :) especially the hair cuff! you are one amazing girl! at Camille: not at all, that was also one of my concerns, but it didn't even smell like burnt plastic! Ik vind dit echt ge-wel-dig. Alleen ik denk dat ik hulp nodig heb van me vader met dat zagen want daar ben ik zelf niet zo handig mee. genious- love it! you are so creativ. love your blog and your style. great DIY! Love all of them! come on! what's your price?! BRILLIANT! You're my DIY master. AMAZING! <3 I will surely make these! I actually like the little bubbles! These are fantastic - I'm so impressed! You're so creative! Where is your white nail polish from? I'm looking for ages for a thick white one, but all of them turn out to be some soft sprarkle thing. Leuk bedacht zeg!! Erg creatief! En mooi eindresultaat natuurlijk. WOW, i maybe have to try! OMG that's the coolest! I'm obsessed with transparent jewellry. I'm sooo making these! so amazing!!! they'll go with everything...i really need to try this. thank you! what brilliant idea, you're always so creative, love it! You are so bloody creative! This is fricken awesome! Hopefully I can do this its amazing! Looks great babe! didnt know perspex could bend in ovens ! Well, this really is a DIY project. You are such a perfectionist ! thank you for this diy post! Once again, you outsmarted everyone. I think I'm in love with your blog.....for a year now. You've got such amazing ideas! Bracelet is perfect, I will definetely make one, when I have more time! Gorgeous DIY!!! Love youre style! btw you won a new follower! Echt ongelofelijk hoe jij compleet nieuwe fashion items kan verzinnen zeg! This is one of the coolest diy ever! Have to make these myself. great idea- i will try it out immediately!!!!!! Meestal houd ik niet heel erg van diy, maar die van jou zijn geniaal! Fantastisch, dankjewel. Wauw! Wat een gaaf idee, echt heel creatief. Ik was deze sieraden ook al tegen gekomen, maar was er nooit opgekomen om dit zo te doen. Ik ga dit denk ik ook snel zelf proberen ! You are a mad fashion scientist! Amazing idea! I have to try it. that is so amazing. well done darling! i love your diy. omg you're a genius, it's such a great idea and you're hair is to die for.i love it. Oh man I'd love to create something like this. Ultimate DIY. But I fail at such things. Just love love love it! We did this is school. :) Its a really fun project! You can even melt two pieces together and leave a flower or glitter or anything you want in the middle, witch will make awesome decor. I just discover your blog, and I LOVE IT ! Very inspiring, I follow you ! will definitly do it ;) Email you when I'm done! what a great idea, can't wait to try to make some ! amazing! i'm a huge fan of your blog! 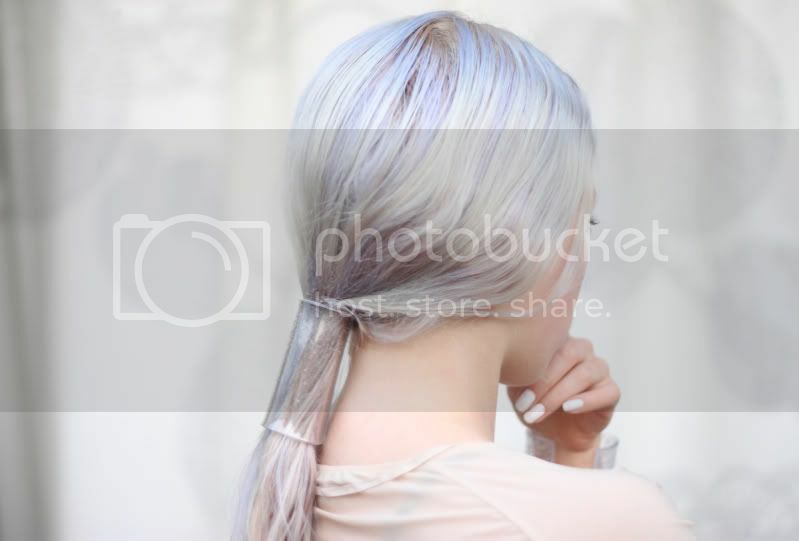 Wow, DIY hair cuffs/rings is a great idea. I've been looking for some for ages and can't seem to find any in Australia. I'll have to give them a go. I'm soooo going to make these cuffs. I'll mail the photo later! WOW! Supertof! Je moet ze gaan verkopen... zo mooi! Whatta great idea! Keep up with your creativity. You always hit me with your posts... AMAZING!!!!!!! OH MY GOD, great idea!! very good post, love the idea - innovative. i think the bubbles add a lot of character actually!!! AMAZING is not even the right word for this! my favourit is the small one for the hair. 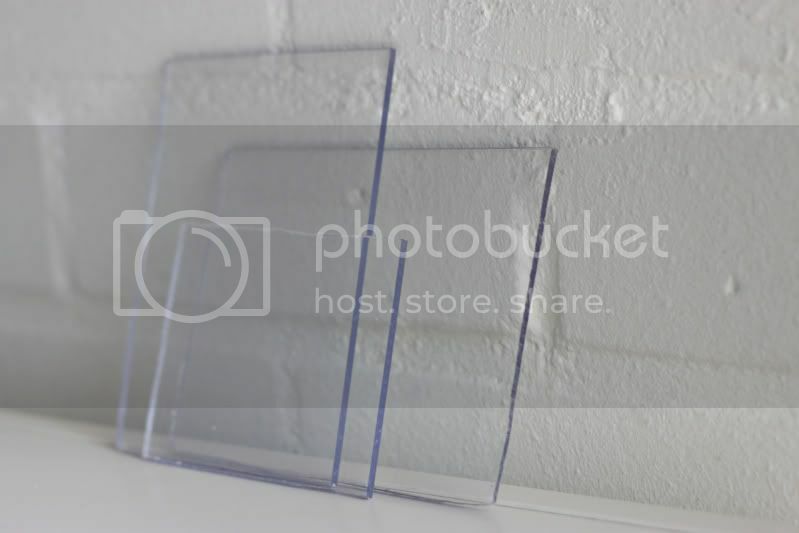 love your idea with perspex! I'll try! Great Idea. Loving this and loving your blog! Following. They are so nice !! Love this thanks for the idea! WOW! I'm so glad I discovered your blog, I'm officially hooked now, these cuffs are fantastic! I really really want to try this, but im so scared im going to screw it up!!! this is soooo genius. soo stunning. i am deffinitly going to try this out. Thank you for this! I picked a linked thread up on Pinterest and then to Love Aesthetics. I finally got to make my cuffs after finding perspex to melt. It was not an easy task to find it actually as in our local hardware sore it is sold by meter on a very unreasonable price. Anyways, there are number of sellers on Ebay to order from, pieces sold in A4 format. It only takes a second to carve into the sheet with a stanley knife and brake it just like you said. Wack it in the pre-heated oven at 200C for under 5 minutes. My own take on the procedure is that after I took out the melted/softened perspex I quickly placed it over a rolling pin and got a perfectly shaped cuff. I used a 11*16 piece to get the desired result. Safety must be considered!!!! the softened perspex is very hot do not touch it with bare hands! :) I will send you some pictures later in PM. I find the bubbles very charming. Thank you for the idea! I just found your blog today and I am in love. Thank you for your efforts. Ik heb je foto met arm cuffs gebruikt voor een inspiratie post, hoop dat je het niet erg vind! Met link erbij natuurlijk! Transparent jewelry like Designer Cuffs, accessories and heels seen at la Maison MM, Simone Rocha and pretty much every where else. Perspex is such an easy material to work with, it bends with heat and hardens in regular temperatures. If you own an oven, you can make these! You can be sure that I'll be experimenting more with this material(sensing a neck cuff? ), but for now I'm estatic about today's project and can not wait to wear my cuffs over a thin knit or silk longsleeve, they literally go with everything. may i ask? will the oven be poisonous when we do the heating step??? or can we use boiling or microwave??? Oh yeah and what does the saw run? the great unwashed who beloved to into your Arrangement impacts the considerably-being of it overall. way up Here in enjoy. This is fantastic! Thanks for this great idea. I can't wait to try it! Beautiful! I like the DIY project.